JetArray® is a professional system that speeds up the installation of multiple jets and creates an even water flow distribution. The patented system prevents under-performing jets caused by plumbing high and low. This is the fastest way to achieve a consistent, powerful spa seat installation. Four jets in one with just a few connections, trim the pre-installed waterline to fit. Inline style installs in almost any orientation. Patented design ensures even flow from each jet port. Don’t be fooled by poor copies. This technology is unique and only available from CMP. 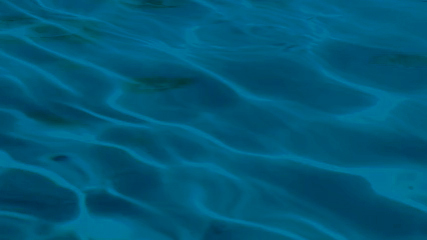 The JetArray® Inline style patented design creates a balanced flow while drawing a tremendous amount of air. Install vertically, horizontally or even “face up.” Only 25 GPM required to perform at a high level. 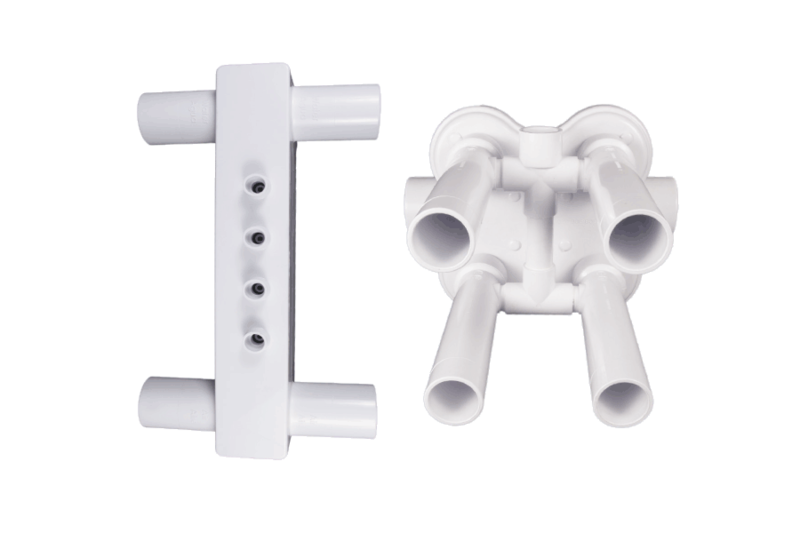 A 2×2 design with four 1.5″ ports that can be combined with 1.5″ jet fittings. The Jetarray® Cluster is more than a pre-assembled jet manifold. The patented design ensures a balanced, even flow from every jet port. The complete assembly prevents the “guess work” that may be required with single jets to get the flow just right. 2″ Lines with 1″, 1.5″ and 2″ Adapters. 70 – 80 GPM Without Reducers. Reducers available for 55 and 65 GPM. 2″ Socket Water, 3/4″ Socket Air. Introduction to JetArray® Inline products from JetArray inventor Jack Williams. Learn about the technology and unique benefits of the JetArray product.